Salesforce is mainly known for its CRM solution although it sells other commercial applications. 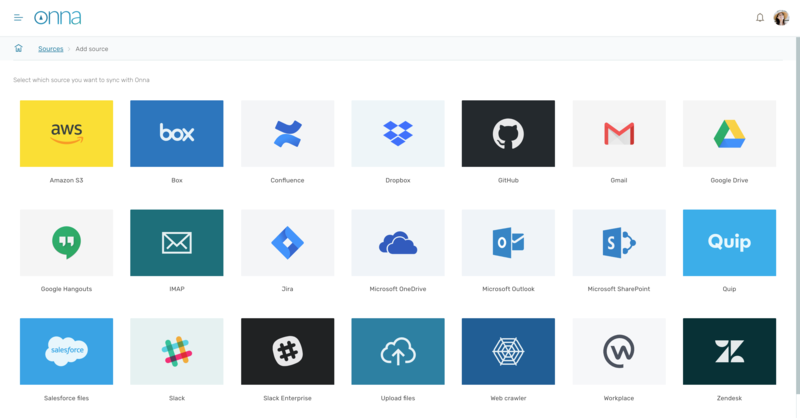 Onna connects directly with the Lightning API to collect the files hosted in an account. In the future Onna plans to enhance the integration to Salesforce to include content from the CRM. To enable a Salesforce files collection, you'll need an admin account for Lightning Enterprise. 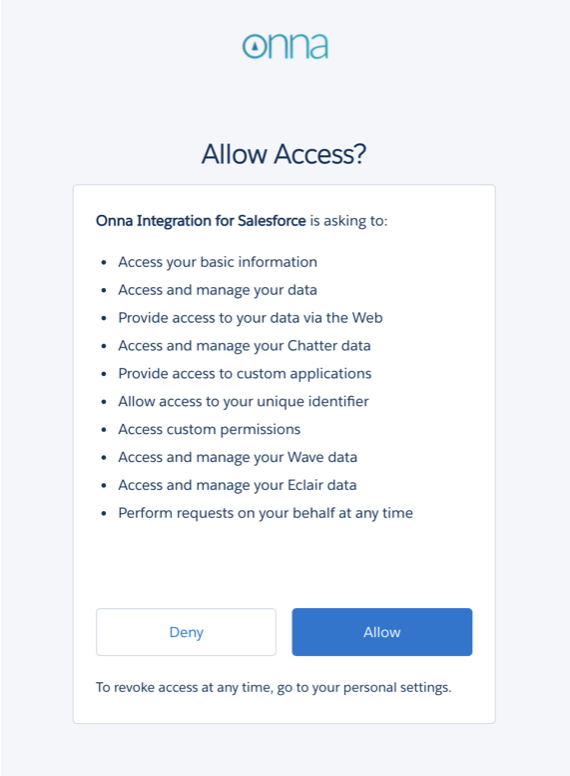 Non-enterprise versions of Salesforce, such as Salesforce Essentials and Lightning Professional, do not have API access included so Onna's integration cannot access the files. We currently support two sync modes - one-time and auto-sync. Auto-sync means that Onna will perform a full sync first and will keep a continuous sync. Any deletions from the data source will be deleted in Onna, as well. You can export data and metadata in eDiscovery ready format. Load files are available in a dat, CSV, or custom text file. 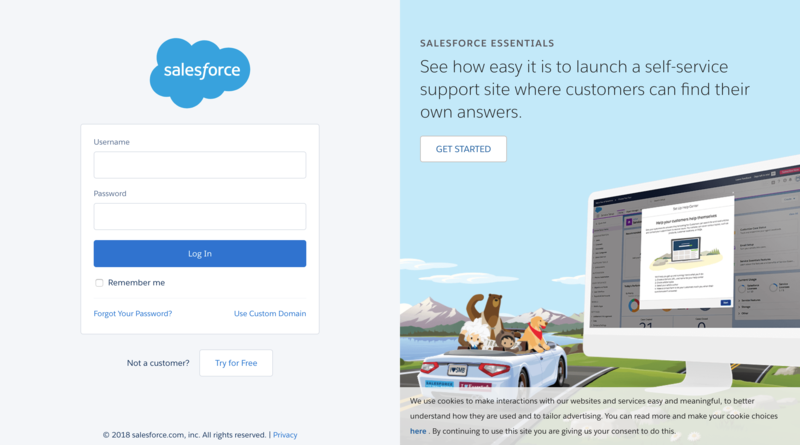 You will then be re-directed to sign in through the Salesforce authentication. Note: You will need an admin account on a Salesforce Lightning Enterprise account to collect files. After giving permission, you'll be taken back to Onna. Here you can name the source and select the sync mode. Once you're finished setting up your Salesforce account click 'Sync'. This will start the collection of files in your account. When you click on the Salesforce data source, you will start seeing results being populated. From this screen, you are able to filter results by date range, categories, and/or extensions using the menu on the left. All files that are visible have been processed and indexed so their content is searchable. Files will be added to Onna in their original format. 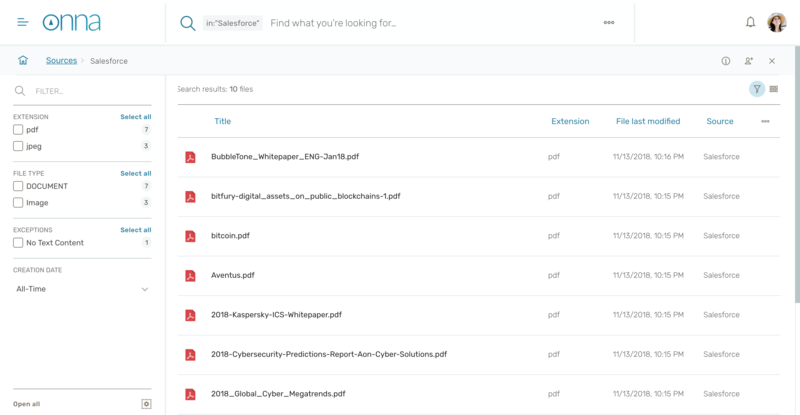 Below is an example of a PDF collected from a Salesforce account. 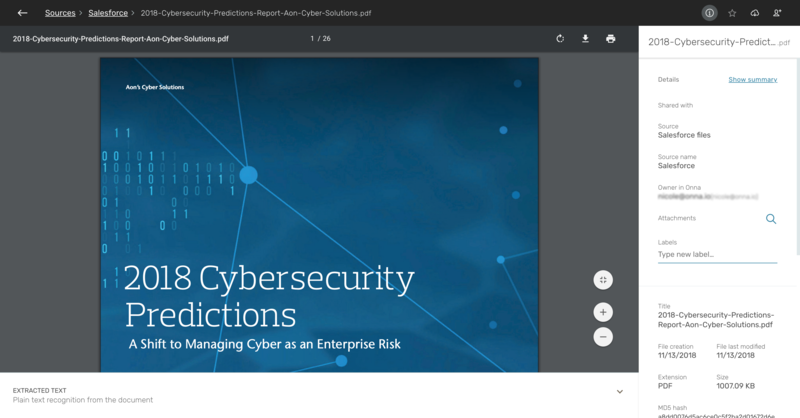 Onna's viewer displays the PDF in its original format. You can go through the whole document and view the metadata available on the right hand side. You can also download the file or share it with another Onna user. Back on the results page, clicking on the information icon on the top right will take you to the source details where you can see how many files it has and it's size. Can Onna be used to collect Salesforce CRM content? 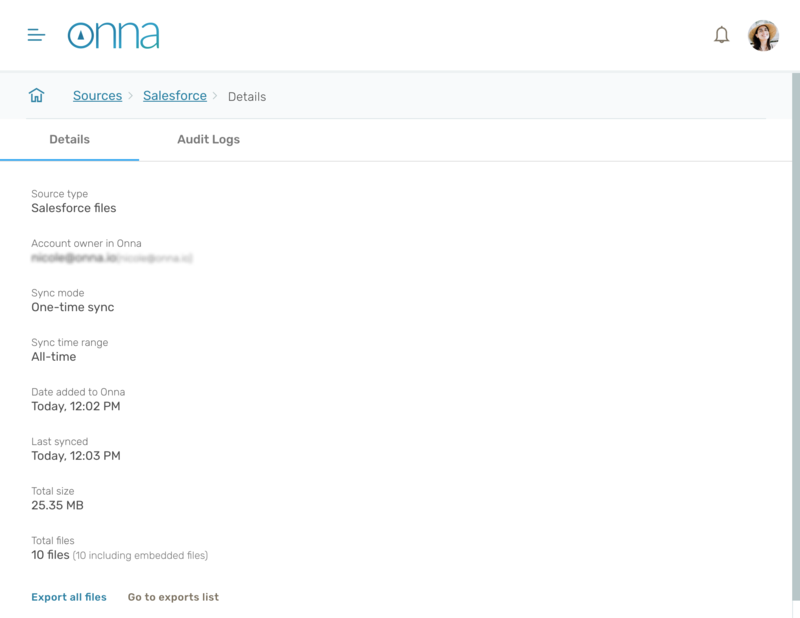 Currently, Onna's integration can only be used to collect files within a Salesforce Lightning Enterprise account. Our roadmap includes plans to enhance the integration to include CRM content. Can I use a regular Salesforce user to collect the Salesforce files? No, you have to be an admin within the Salesforce Lightning Enterprise account. Can Onna be used to collect Salesforce Chatter? This is part of our roadmap but currently not.